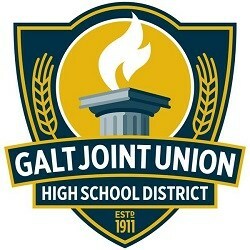 The Galt Joint Union High School District is in the process of reviewing the current graduation requirements for our students and developing a proposal for the School Board to consider to increase those requirements to ensure that we are adequately preparing our students for college, career, and civic life. We would like to get you feedback about these increased requirements, so below is some more information regarding the proposed changes and a link to a forum for you to leave your feedback. There will also be informational booths at both Open House nights for you to ask questions and leave feedback. The School Board will be voting on these proposed increases to the graduation requirements at the February 13, 2018 Regular School Board Meeting.